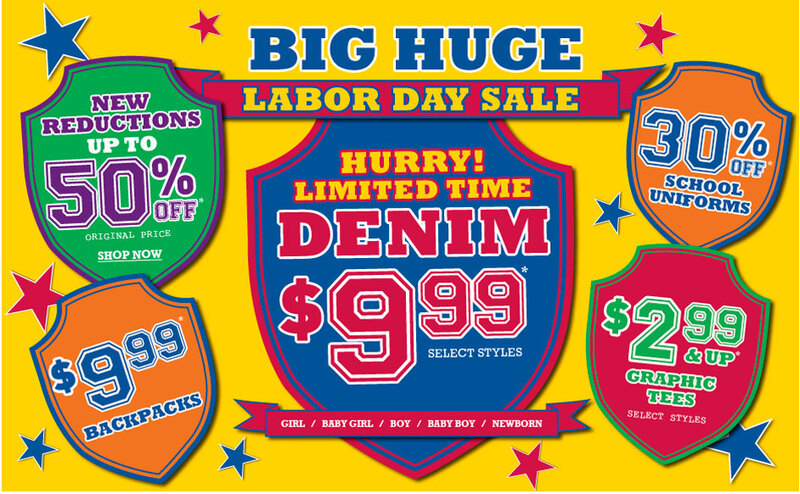 Great Labor Day Sale at Children's Place. I love their clothes for my boys!! Through Labor Day, FREE SHIPPING (no minimum purchase), and use coupon code D6H3E4KM82 for an ADDITIONAL 20% off your entire order! 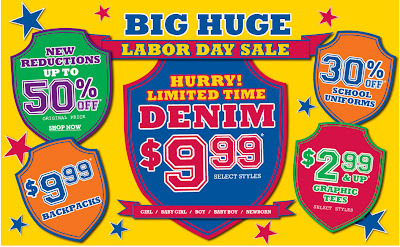 They have jeans for $9.99 right now, so with code they're only $8 and free shipping. I ordered some a couple weeks ago when they were running a similar promo & they just came and are SO cute! Quantities on a lot of the clearance items are limited, so check them out soon.